With all of our other consumer electronics driven by the newest cutting-edge technologies, why are we still using baby monitors that haven’t been updated since the inception of the Internet? Luckily, Levana products are dependable, high quality, and born in the digital age. As a company that started in 2001, Levana has been one of the leading technological developers in baby monitors over the past 16 years. With hundreds of reviews of their products online, this company is one that will give you an incredible monitor for a reasonable price. The company offers a number of exceptional products and we’ve gone through the process of reviewing them for you. We’ve gone through Levana’s four top-selling baby monitors on Amazon to compare the features offered, price point, and reviews to see how they stack up against each other. The Levana Lila is the first of the four best selling Levana products that we review. Lila, which means “night”, is designed to help parents achieve a peaceful night’s rest while knowing that their baby is safe and comfortable in another room. The Lila averages 4 out of 5 stars on Amazon and the majority of users seem happy with their purchase. Generally pleased with the easy setup, sound quality, and overall simplicity, Levana’s excellent customer service was also something that reviewers reflected on. Negative reviews complained about devices failing after a few months, particularly the night vision. Several parents wrote that they work up to completely white screens after the night vision had broken in the middle of the night. While there is no mention of the audio failing (so you won’t have to worry about being completely cut off from your baby), it can be a disappointment to pay for a night vision c﻿amer﻿a that does not work well. However, with a 1-year warranty, these issues can be fixed easily! If you are looking for a decent camera monitor at a reasonable price, the Lila is a great option to consider. For a reasonable price and with a 1-year warranty, this product will definitely give you some peaceful nights. If You Are Interested in Learning More about the Lila, Click Here. The Astra has an average rating of 3.2 stars, which is slightly lower than we expected it to be. Reviewers felt that the quality of the video was sub-par and reported that the battery life began to fail after a few months. However, the sound-activated battery saving mode was well regarded and many felt that the sleek design was perfect. While there is still the 1-year warranty, you might be better off investing in a different piece of hardware. The generally apathetic reviews make us think that despite being from a reputable company, the Astra might not have reached its highest levels of performance yet. To Learn More about the Astra, Click Here. Levana’s Alexa baby monitor is another step up from the Astra. Alexa, meaning “helper,” has a number of features that are designed to help you help your baby. This device only has 27 reviews on Amazon so it is somewhat hard to form a conclusive opinion about the quality of the hardware. What we do see is that of those 27 reviews, 37% are 5 stars. However, an equal percentage is of 2 stars or lower, leading us to believe that this product could be improved. It has an overall rating of 3.4 stars. Those who gave it high praise make the same comments that other Levana customers make: They are impressed by the high-quality sound, energy-saving mode, and they loved the screen. Negative reviewers felt that the night vision quality could be improved, stating that it was grainy and hard to see their children. Like the Astra, it seems that the Alexa has room for improvement. If you do choose to buy this product, however, it is important to keep the devices away from other household items that use radio waves, such as microwaves. To Learn More about the Alexa, Click Here. The final Levana product that we review is the Willow baby monitor. Willow, meaning “graceful”, is similar to the Alexa in a number of ways but incorporates a touchscreen parent unit. The Willow only has 23 reviews online, but its average rating is less-than-stellar. At 2.7 stars, it seems that this baby monitor is not worth the price you are paying for it. Reviewers noted that the temperature readings were inaccurate, it has a low-resolution picture, and a loud volume. There were also complaints of a grainy night vision screen and interference from other household devices. Ultimately, we would advise you against buying the Willow. The numerous low-star ratings concern us regarding the quality of this product and for the price your money is better invested elsewhere. To Learn More about the Willow, Visit T﻿﻿his ﻿﻿Link. If you are going to go with a Levana baby monitor, we highly recommend keeping it simple and sticking with the Lila. The Lila is a product that has been proven to work and which reviewers generally like across the board. 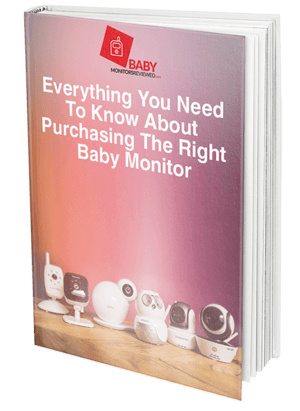 However, it might be the case that your money is better invested in another brand of baby monitor.